Feb 5 (AZINS) "Go to Shillong. It is a cool place. Both sides will remain cool there," observed the Supreme Court in a lighter vein while accepting the request of the CBI that Kolkata Police Commissioner Rajeev Kumar be directed to join investigation in connection with Saradha scam at a neutral place. The remark was made by Chief Justice Ranjan Gogoi after passing the order in which a bench headed by him said that Kumar has to make himself available before the CBI for investigation.After the bench, also comprising Justices Deepka Gupta and Sanjeev Khanna, had almost completed the dictation of the order, Attorney General K K Venugopal raised the issue of neutral place. "To avoid all unnecessary controversy, we direct the Commissioner of Police to appear before the investigating agency in Shillong, Meghalaya, on such date(s) as may be fixed," the bench said in its order. During the hearing, the CBI alleged total breakdown of constitutional machinery in the state by citing the incident of Sunday when the West Bengal Police had taken into its custody around 25 personnel of the agency.They had gone to Kumar's residence to probe him in the Saradha scam.The CBI alleged that Kumar, who was leading the SIT probe into Saradha chit fund scam, tampered with the electronic evidence and handed over document to the agency some of which were "doctored". The CBI also alleged that its Joint Director Pankaj Shrivastava's house was kept under seige by the state police. 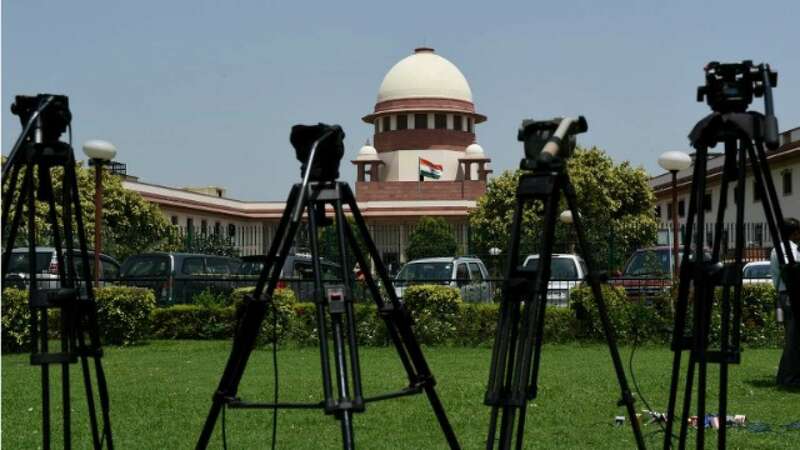 CBI told the Supreme Court Tuesday that its probe into the Saradha scam led to the arrest of "people found close to or connected" to the ruling Trinamool Congress (TMC) in West Bengal.The submission was made by Attorney General K K Venugopal before a bench, comprising Chief Justice Ranjan Gogoi and Justices Deepak Gupta and Sanjeev Khanna, which was hearing the CBI plea seeking direction against the Kolkata Police Commissioner Rajeev Kumar who has avoided to join the investigation. Venugopal narrated the legal proceedings since 2014 and said all cases relating to the Chit Fund scam in West Bengal were transferred to the CBI. "Before that, the state had itself has appointed a SIT. Between April, 2014 and when the judgement was pronounced in 2017, we have collected material and proceeded to make arrests. some of them were People found close to or connected to the TMC, the ruling party," he told the bench. He said CBI issued summons to Kumar, who was the functional head of the SIT as the material handed to the agency was not complete. "So we sent summons and then three notices. When he failed to respond, we wrote to the DGP who is the head of the SIT", the top law officer submitted. Making submission on the alleged destruction of evidence and other apprehensions, the attorney general said: "We had serious doubts as to the documentation handed over to us." He referred to the case of Sudipto Sen, who owned the entire chit fund, saying he was arrested in a place in Jammu and Kashmir. A laptop and four-five mobile phones that contained data were recovered from him but without retaining any part of the data or sending it to the Forensic Science Laboratory to identify and transplant it, the phone was handed back to him, Venugopal said. "This was a very serious thing. The call data records were shared with us but were not complete. We found discrepancies in the number of calls, which were drastically less. The details of from whom to whom the calls were made were also deleted. There were four other incidents. We could only take over the FIRs already registered like, in Rose Valley, where the highest revenue was raised and the most cheating had taken place to the tune of 15,000 crores," the attorney general said. The Saradha and Rose Valley scams had hogged the limelight in West Bengal and and other eastern states in 2013.Since the scam involved investigation into other states, the apex court had transferred the probe to the CBI.